Smart technology for better air. Say goodbye to concerns of breathing in allergens and unhealthy bacteria. 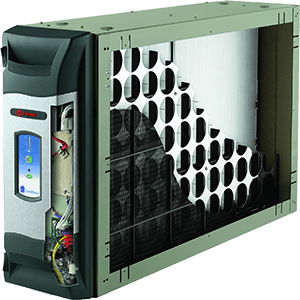 The CleanEffects Air Cleaner from TRANE is setting the standard in air quality, and Lindstrom is proud to offer this service to our customers. Why have an air cleaner installed in your home? Contact Lindstrom to talk with a costumer service representative about installing a TRANE air cleaner.